Last week I mentioned it was nice to see so many new tea companies popping up that concentrate on high quality, single estate teas. I'd like to also add that it's nice to see so many new tea companies popping up that not only offer high quality teas, but are out to make a difference. Today I'm featuring Young Mountain Tea Company. The Company's philosophy is 'The best teas grow out of the best practices'. The company's founder Raj Vable has a unique vision. He is creating tea in Kumaon, in the Indian Himalayans by creating jobs and using sustainable farming techniques to increase the income of the farmers. As for the tea itself, he decided to focus on white peony (bai mu dan) tea. It's rare to find this type of tea processed in India, which makes his choice all the more interesting. Raj started the company to create teas that taste delicious, support the farmers, and benefit the planet. Young Mountain started a kickstarter campaign to raise money for their efforts, and they have reached their original goal. They have now started a stretch goal in order to expand the project from the original plot of land to start working with three different villages. When Raj sent me information about the kickstarter, I had many questions about the project. The questions grew into a full interview. I sent him my questions and he gave informative answers I'm happy to share with everyone. Here is out detailed, fascinating interview. How did you discover the abandoned tea in Kumaon and how did this lead to your idea to revive the tea growing industry there? I’ve been working in Kumaon for the last five years, moving steadily deeper into tea throughout that time. I would go for long walks with my transparent travel infuser (the one we sell on our website, actually) and the floating tea leaves would attract interested looks from locals. We would chat about the tea, and many would tell me about the old estates where tea once was grown. 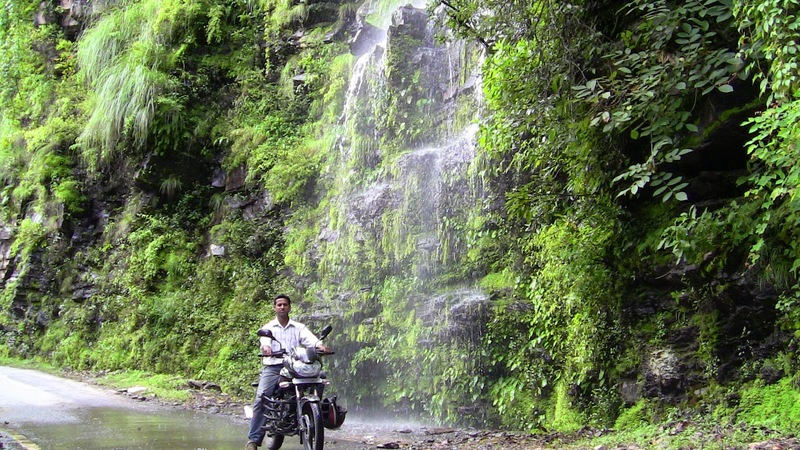 So I hopped on the back of my friend Kailash’s motorcycle (picture below), and we began to travel throughout the region. We visited homes where elders in the communities told stories of old tea growth. We also got in touch with local historians who explained that tea was grown in Kumaon before Darjeeling, but it was just too difficult to get the tea out of the mountains without roads. At the time, I was a graduate student so I searched research databases and slowly began to piece together the history in the area. Then we processed some tea from plants that were growing wild, and were stunned at what we had. It was a huge opportunity to bring livelihood opportunities to the communities I had come to love, and was also the most exciting idea I’d ever had. I could play a small role in tea’s history AND I could continue to work with these communities. What could be better? Rajiv Lochan of Doke Teas in Bihar described our work as “reviving old glory” which I think is a beautifully poetic way to put it. How has the response been from the local farmers that you have approached? Very positive. Tea drinking is incredibly popular in India – every morning begins with several cups of chai, and every afternoon is bolstered by a few more. The drink is part of the culture, which makes the idea much more appealing for farmers. I remember early when I was discussing the idea with Rajnish, one of the managers for our partner non-profit Avani, he said “Of course this will work. Everyone drinks tea. 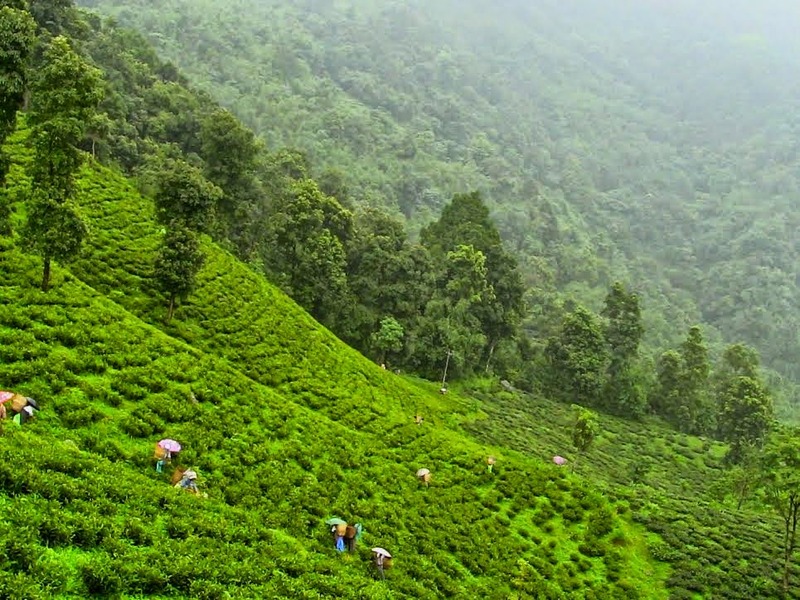 India is the world’s second largest producer of tea, and the tea industry is India’s second largest employer (number one: Indian railways, the largest public employer in the world). So the scope for impact is huge. How did you come up with the fantastic idea of offering a white tea in a region that’s mostly black teas? It was the convergence of several factors. First, we wanted to differentiate ourselves from other Indian tea producers, and knew that would be difficult if we made black tea. Second, one of the primary reasons that tea in the US is becoming popular is because of its health benefits, and white tea has the most antioxidants of any tea type. Third, white tea is the least processed tea type and requires using only the highest quality leaves, which makes it well-suited for our apporach– we wanted to focus on driving the quality sky high in small batches. Finally, white peony is our favorite tea – we think of it as “good mood in a cup.” As a bunch of tea lovers, it only made sense to make the tea that we enjoy most. 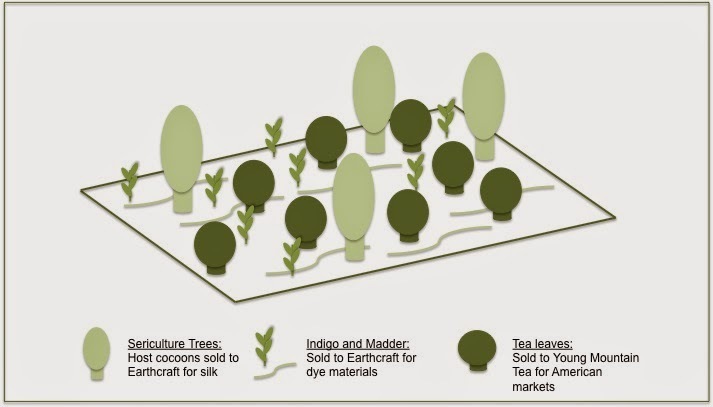 Are you processing the teas in Kumaon, or just harvesting there? If not, where are you processing the teas? Processing tea has to happen immediately following harvesting, so everything will be done on-site. Tell us a little more about the organic permaculture techniques you’re using to improve the tea plant growth. Permaculture is a concatenation of “permanent agriculture.” It’s an attempt mimic the way natural ecosystems exist by having a diversity of crops growing together. We are intercropping tea with several high-value mountainous plants that our non-profit partner Avani can use to make natural dyes. This has two benefits – it gives farmers resilience against the failure of any one crop, and increases the amount of nutrients in the soil. Healthier soils lead to strong tea plants and better teas, so it’s really a win-win situation. How does the tea strengthen the mountain ecosystem? As I just mentioned, our approach of growing tea will return nutrients to the soil and increase local biodiversity. This leads to a stronger root structure beneath the surface, which prevents land slides, a common problem in the area; without healthy roots, nothing holds the soil to the rocks and during the monsoons, the land is washed away. Having a diverse set of plants also increases the ability of the soil to retain water. This is highly relevant given the increasingly erratic rainfall patterns associated with climate change. Mountain ecosystems are among the first to feel the effects of climate change, so we’re taking a proactive approach to managing unpredictable weather patterns. Aside from hiring farmers, how else are you creating jobs in Kumaon? We are working to create dignified rural livelihoods by setting up a thriving tea region. This will create jobs for cultivating, harvesting, processing, storing, and transporting the tea. All that work will require a strong infrastructure, including reliable electricity, better roads, and a more educated work force. So really, we’re using tea as a catalyst for driving social and ecological change. We are also bringing Americans to the Kumaon villages to promote cultural interaction (see our highest reward tier for our Kickstarter). This will bring income to Kumaon families and perhaps more importantly, open up opportunities for deeper cross-culture understanding. In the largest sense, our goal is to connect the resources of the modern world with traditional Kumaon communities. We are adapting technology and business models to an extremely remote setting. This process of building bridges between cultures requires that we stay true to our motivation of serving the communities we work with; we have no interest in creating unrealistic expectations for locals or reinforcing exploitative systems that do more harm than good. So we are moving slowly and making sure our work grows out of true partnership with locals. We believe that by having a strong partnership with Avani, an embedded non-profit staffed by locals, we will develop models that are both realistic and true to the values of Kumaoni people. And if we can build a sustainable rural business model here, in the remote Himalayan communities of Kumaon, we can do it anywhere. What are some future goals for the project? We want Kumaon tea to become the pride of Indian tea. Our long term vision is a thriving Kumaon where tea supports the economies and ecosystems from which it grows. To get there, we want to expand beyond our initial demonstration plot into three villages by the end of 2015, which we can do if we hit our stretch goal of $32,000. Do you have your own personal tea rituals? If so can you describe them for us? Every day starts with two cups of tea, usually white peony or Indi’s Gold, a black tea from the Nilgiris with a fruity sweet finish. I pour fresh water into the kettle, turn on the stove, setup my gaiwan and cup, then do my morning stretches. When the kettle starts to rumble, I come back to the kitchen and pour hot water into the gaiwan and cup to warm them both. After a quick rinse steep to wake up the leaves, I refill the gaiwan and let my thoughts empty out as the leave steep. I like to stay with the tea, just be there with my arms behind my back, while it infuses. I try to imagine the streaks of color reaching out from the leaves into the water, slowly transforming the liquor from hot water into tea. I do a fairly short first infusion, and as soon as I pour out the first infusion into the cup, I get the second started using the same leaves. The second cup I drink more slowly, and often take outside so I get a bit of fresh air. This morning ritual has made a noticeable difference in the way the day unfolds, and one I cherish. Is there anything else we should know about the project? We recently reached our initial goal and now have set a stretch goal of $32,000. If we can reach it, we can expand our work from our demonstration plot and into three villages, which we already have identified. This will allow us to start laying the foundation for a sustainable Kumaon tea region. Thank you for your time, Raj! If you are intereted in learnig more about Young Mountain Tea Company, you can visit their website and the kickstarter campaign. Thanks for the interview, Sara! It was fun to think about such nice questions. Awesome interview! Now I'm even more glad I backed this project!! I'm so excited to see (and taste) how everything turns out! Thanks Margaret! So glad you are excited! Wow that was a great interview. Glad you enjoyed it Dylan! Thanks! Just wanted to say that I really enjoy your blog. I've just started my own about my journey with trying new teas, and your blog has inspired me. I hope one day to be able to do some of the things you have done! Thank you. Wow that's wonderful. Thank you for letting me know, it really means a lot. I'd love to follow your journey, could you share your blog address? Of course. Hopefully this worked out. I found your blog when I was trying to google search mine. Seems we picked similar names. I think it's because tea brings such happiness! Great minds think alike :) I look forward to reading your posts!